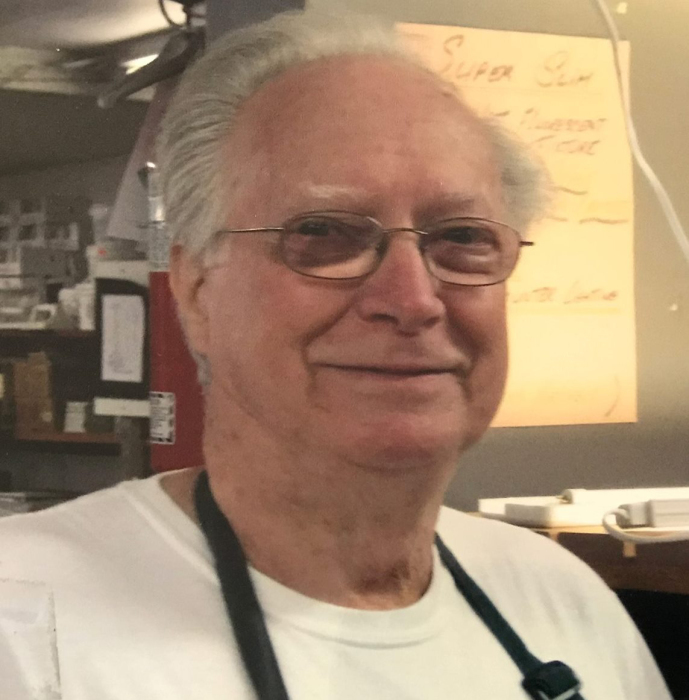 It is with deep sadness that the family of Phil Green announce his peaceful passing at his home in the early morning hours of Saturday morning, April 6, 2019. Phil had recently turned 85. Phil was predeceased by his parents Marianne and Ernest, his brother Geoff and infant brother David. As a young man Phil was a member of the RAF where he was part of a flying crew during the Korean War. Phil was able to see parts of the world he might not have seen otherwise. Phil and Carol and the boys, Don and Rick, moved to British Columbia, from Don Mills, Ontario in 1974 where Phil became a labour relations officer with BC Hydro. His retirement at age 61 allowed Phil and Carol the opportunity to travel around Canada and the US, camping and visiting family and friends. Phil was a family man who enjoyed life with his wife Carol of 58 years, his son Don and his wife Margie and their children Scott and Kristiana; his son Rick and his wife Heather and their children Kyle and Jared, and with our friends. Among Phil’s interests were camping with his family, especially at the trailer we had at Plant’s Paradise. It was here that we made many close friendships. He was an avid reader and enjoyed his computer and debating politics. Phil liked to take on challenges so during the week we spent at Whistler celebrating our 50th anniversary he went on the zip line. The kids were all in awe of this adventure when he showed them the pictures. A prouder Dad could not be found as he watched each son marry, have children and open their own successful businesses. Phil was famous for his passion for cars. No one of us knows how many he actually owned over the years, but it was a record number. Phil contributed time to his community both before and after his retirement. He was on the Board of Directors of the Sechelt Seniors Center and taught computer classes. He also served on the Sunshine Coast Hospice Society and up until the end of December volunteered with Habitat for Humanity in their Re-Store. Early November 2018, Phil was diagnosed with ALS (Lou Gehrig’s disease). Nothing could have been further from our minds. Following this diagnosis Phil and Carol re-located to Maple Ridge to be closer to the kind of medical treatment and support he would soon need. This devastating disease took its toll on Phil as it moved rapidly throughout his body. As parents we owe loving thanks to Don and Margie and Rick and Heather for always being there for him. Among others we would like to thank are Dr Ron Mundy (family physician), Dr Timothy McDowell (Neurologist), Dr Ann McNamara (Respiratory Medicine) and present family physician Dr Yves Thomas. Last but not least we extend our thanks to Neurologist Dr Christine Stables and her team at GF Strong ALS Clinic for their support and for the loan of equipment without which we could not have managed. Also thanks to occupational therapist AJ for his many visits and help. The Family asks that in lieu of flowers, memorial tributes may be made to the ALS Society #1235, 13351 Commerce Parkway, Richmond BC Canada V6V 2X7. A Celebration of Life will be held Saturday, May 11th in Sechelt, BC at the Royal Canadian Legion at 12 noon. There's still time to send flowers to the Celebration of Life at the Royal Canadian Legion in Sechelt.,BC at 12:00 PM on May 11, 2019.